The Rites of the Munay-Ki transform and upgrade your Luminous Energy Field. They are energetic transmissions that heal the wounds of the past – the karmic & genetic programs and beliefs you inherited. They re-inform your DNA, enabling you to grow a new body that ages, heals, and dies differently. ​"Marcela Lobos (conceiver of the 13th Rite) has been initiated in the healing and spiritual traditions of the Amazon and the Andes. She was born and raised in Chile where she leads expeditions, working with women shamans that belong to a matriarchal society that still holds the wisdom and passion of Mother Earth. She is senior staff member at the Four Winds Society and is married to its founder, Alberto Villoldo." ​"Marcela Lobos was the first to receive the 13th Rite in March of 2014—a twelve-year journey she never could have foreseen" In 2002, Marcela dreamt that four Amazonian midwives helped to deliver her from "fear she had carried deep in her belly for almost three decades". This fear was represented as a dead baby which the midwives delivered in her dream. They said to Marcela: “The womb is not a place to store fear and pain. The womb is to create and give birth to life.” Marcela was told that the very first person she needed to offer the rite to was her mother. And so she visualized her mother in the space and felt their wombs become one. She whispered the rite to her mother and saw the vibrant green of her own womb transferred to hers. Marcela continued to “receive instructions” on how to bring this to wider audiences and on October 11th she launched the 13th Rite of the Womb with the women at Omega—all of whom are now able to offer the rite. ​Marcela wrote this in a letter to the women who have received the rite: …Now it belongs to all women who are open to receive it, and also to those men who find it essential to their healing. Now it is up to the lineage to keep growing this healing to the four corners of the world, and in this way, bring healing to our Earth. And now you are the lineage as much as I am the lineage. We are becoming women who freed themselves from suffering. 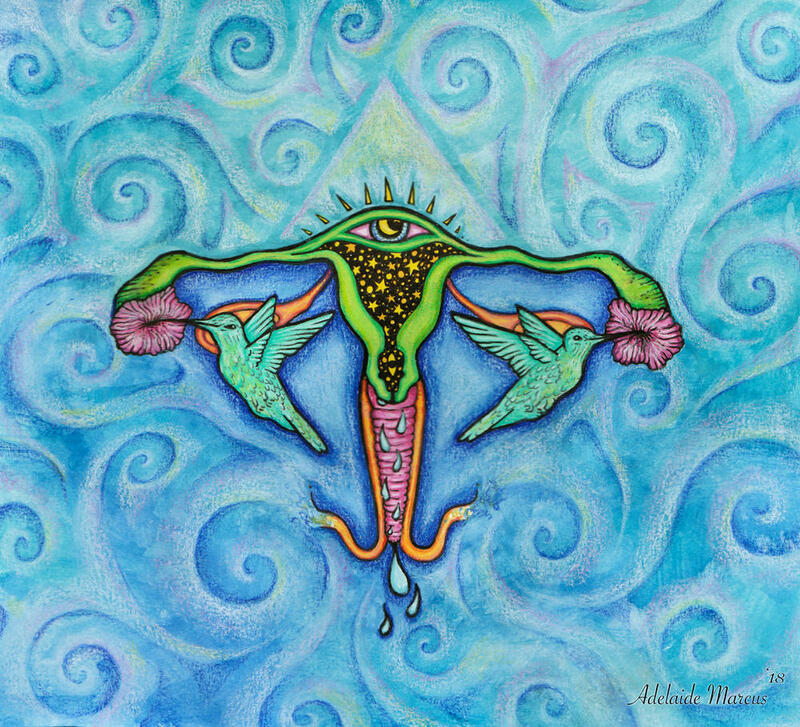 Keep nurturing the rite until there is no more fear or pain in your womb.